A few days ago I went back into Holy Trinty Church to grab some more shots for their Website (http://www.holyt.co.uk). They’ve asked for a few specific images to put up on their site. This is the first one I’ve finished processing for them. It shows the pulpit of the church. The organ pipes can also be seen in the back ground. 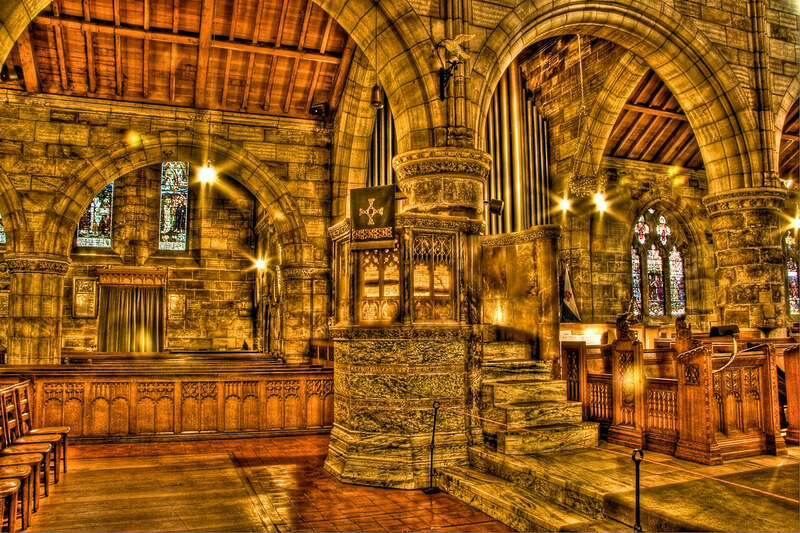 This entry was posted in Church, Medieval, Scotland, St Andrews and tagged Church, fife, hdr, Medieval, Scotland, scottish, skreid, St Andrews. Bookmark the permalink.